Houston, Texas Law Firm Serving Clients Since 1986 With more than 26 years of experience, attorney Pamelia Barnett provides effective and focused legal services in a full spectrum of immigration issues, with an emphasis on complex cases. She has developed a specialty in the area of waivers, both immigrant and non-immigrant, and the firm has a proven track record in such cases as national interest waiver petitions, investor visas, Outer Continental Shelf (OCS) Coast Guard exemptions and waivers of grounds of inadmissibility for both non-immigrants and immigrants before U.S. Citizenship and Immigration Services (USCIS) and U.S. consulates. Whether your goal is to live in the United States permanently or to work here temporarily, or you are an undocumented worker or a citizen marrying your foreign fianc, the Barnett Law Group PLLC is committed to achieving your goals. The Barnett Law Group's goal is to provide personalized legal services to all its clients large corporations, small family businesses and individuals and considers both the short- and long-term implications of each option available. The Firm is also dedicated to keeping abreast of new developments in immigration and naturalization law in order to stay current on the ever-changing landscape of immigration policies and government regulations and procedures. Ms. Barnett speaks and writes frequently on immigration issues to community and legal groups and is an active member of the American Immigration Lawyers Association. Why choose the Houston law firm, the Barnett Law Group? Read what some of our clients have to say: Corporate Legal Counsel: "Ms. Barnett was able to handle our foreign employees' immigration issues and to ensure that we maintain compliance with U.S. immigration law. I talked with several attorneys prior to Ms. Barnett and she was the only one who was immediately familiar with the issues we had and to offer correct advice." Employment-Based Immigrant Client: "We wish you everything good that we could wish the very special person who helped us to implement our dreams. Thanks for your kindness, very high professional level and responsibility. And it is a really big luck in the life to know you!" Family-based Immigrant Client: "For 29 years I thought I was a U.S. citizen. When I found out I wasn't, only Pamelia Barnett was able to straighten out my immigration nightmare." Contact a reliable and trusted immigration attorney today Call The Barnett Law Group at 713.980.9939 or contact us online to schedule an appointment at our Houston, Texas office. Helping you with your immigration issues Whether your goal is to live permanently in the United States or to work here temporarily, whether you are an undocumented worker, a high-powered executive, or a citizen marrying your foreign fianc, The Barnett Law Group has the experience to help you. For 25 years, attorney Pamelia Barnett has assisted clients with the full spectrum of immigration issues, including: Employment-based immigration Family-sponsored immigration Non-immigrant visas Consular matters Naturalization Certificates of U.S. citizenship Asylum and refugee status TPS and humanitarian visas Travel documents Green card renewal Representation at USCIS interviews Understanding the immigration bureaucracy The U.S. immigration system is comprised of a complex web of intricate laws and vast bureaucratic agencies, each with its own rules, regulations and policies. We maneuver comfortably through the red tape to bring you the best possible outcomes when dealing with: U.S. Citizenship and Immigration Services (USCIS) U.S. Customs & Border Protection (CBP) U.S. Immigration and Customs Enforcement (USICE) Department of Labor (DOL) Worldwide consulates and embassies Immigration court Applying for a visa petition Applying for a visa petition is more complicated than just sending forms to USCIS. The U.S. government requires strict qualifications and outlines inflexible procedures for filing. Mistakes on your petition can lead to crucial delays and possibly a denial of the visa petition. Each type of visa status comes with its own set of essential criteria, which your qualifications must precisely match. We discuss your short-term and ultimate immigration goals to set up a long-range plan. We thoroughly analyze your situation to choose the appropriate pathway, and meticulously gather evidence that supports each element of your eligibility. We anticipate complications and troubleshoot before problems occur. Constantly-changing immigration laws Immigration policy is under constant debate and the laws are frequently modified. In addition, the various government agencies that administer immigration regulations regularly update their procedures, forms and guidelines. We stay current on the daily changes in immigration law and alerted to potential changes in the future. To successfully advise you, we consider not only the laws as they exist today but the possibility of beneficial as well as harmful changes. Fastidious and dedicated, we relentlessly pursue your case and develop unique solutions to complicated situations. Contact a Texas immigration lawyer who can help you Call The Barnett Law Group at 713.980.9939 or contact us online. We serve clients in Houston and throughout Texas. Pamelia S. Barnett has practiced immigration law for more than 26 years and obtained her law degree from the University of Houston Law Center in 1986, where she served as Head Articles Editor on the Houston International Law Journal, interned with Federal Judge Gabrielle McDonald, and participated in the International Moot Court competition. She also obtained Master's and Bachelor's degrees from the University of Houston in 1976 and 1971, respectively. Prior to attending law school, Ms. Barnett was a secondary school English and History teacher in the Spring Branch School District. After graduation from the University of Houston Law Center, Ms. Barnett practiced Immigration Law for Catholic Charities of Houston and oil and gas law for James P. Barnett, Jr. & Associates, had her own solo practice as an immigration attorney, and served Of Counsel to Dunbar, Harder and Benson, L.L.P. Ms. Barnett joined Fong & Associates, L.L.P. in 2004. 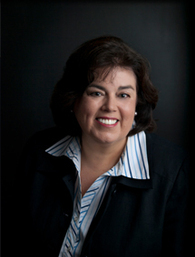 In 2009, Pamelia Barnett gained Board Certification in U.S. Immigration & Nationality Law. In 2010, Ms. Barnett opened her own practice, The Barnett Law Group, PLLC, specializing in U.S. Immigration & Nationality Law. Ms. Barnett's practice encompasses the full spectrum of immigration issues, with an emphasis on the handling of complex cases. She has developed a specialty in the area of waivers, both immigrant and non-immigrant. Ms. Barnett speaks and writes frequently on immigration issues to community and legal groups.